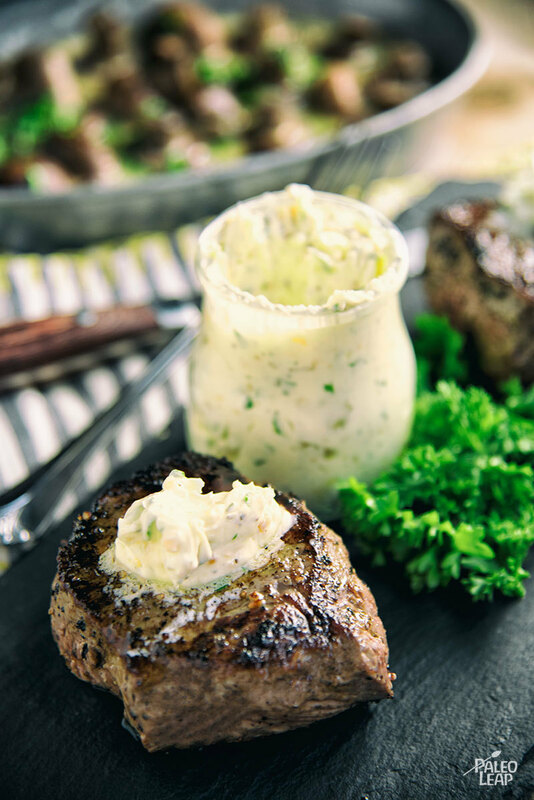 This pan-seared then oven-roasted top sirloin steak topped with herb-whipped ghee is both elegant and simple. The rich ghee adds a butter-like herb flavor to a juicy steak. The recipe calls for a mix of dried and fresh herbs, but you can substitute with all dried herbs or all fresh herbs. Remember: dried herbs are more intense, so reduce the quantity by 1/3 if you’re using dried in lieu of fresh. As with many steak recipes, try to leave the steak out at room temperature for half an hour before cooking. If a cold steak hits the hot pan, the inside will take longer to heat up, and the outside will burn. Likewise, when removing from the oven, allow it to cool for 10 minutes or so. This allows the juices to soak into the meat, and prevents them from pouring out onto the cutting board. Keep your sides simple. Toss in a quick tray of roasted broccoli or cauliflower to roast. Enjoy this simple and elegant dinner! In a bowl, whip together the ghee, garlic, parsley, basil, and oregano. Season each steak with sea salt and freshly ground black pepper. Bring a skillet to a medium-high heat, and melt cooking fat. Brown the steaks in the skillet for 2 to 3 minutes per side. 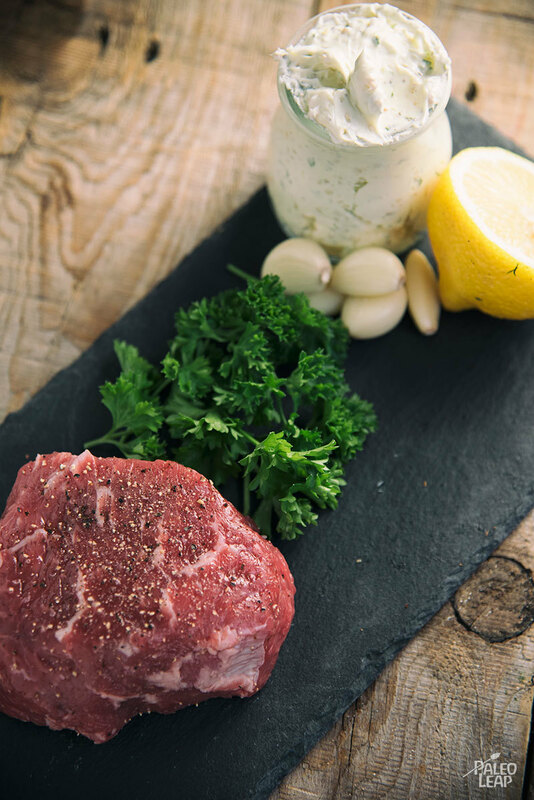 Top each steak with a spoonful of garlic-herb butter, and place in the oven. Cook the steak in the oven for 7 to 8 minutes, or to desired doneness. Let the steak rest for 2 to 3 minutes before serving.